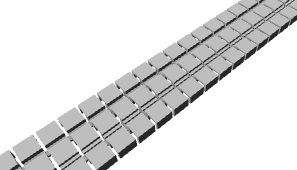 48 pieces of small stone section top make flexi inset track 9mm gauge with small stones for OO9/HOe scale. fit code 100 rail.each section is 7mm long. 24 pieces of small stone section top make flexi inset track 9mm gauge with small stones for OO9/HOe scale. 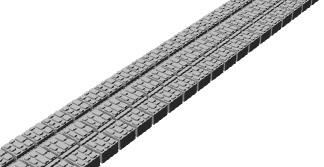 fit code 100 rail.each section is 7mm long.